it’s like the earth, but with caramel-toffee flavored dough. You know those articles that give you “5/10/12 Ways to Improve Your Chocolate Chip Cookies?” Cool. I can improve your cookies in 1 step. 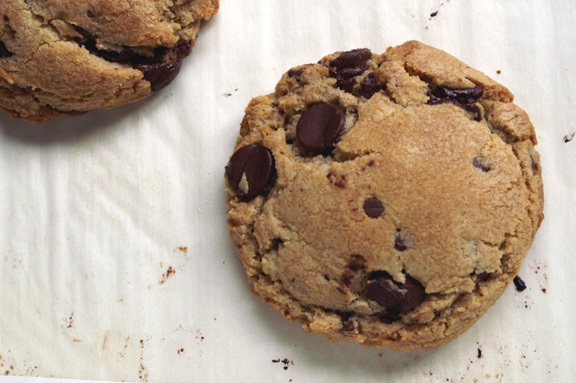 Make these chocolate chip cookies. Done. Improved. Rejoice! You guys. You know I don’t love using the words “The Best” or “Perfect” in post titles. Because, truly, who am I to say that something is the best? I’ve probably not ever had every version of something, nor are my taste buds superior to anyone else’s. Furthermore, everyone’s idea of “the best” varies from one to the next: maybe this person likes a certain thing this way, where another likes it that way. Who knows. I’m not the foremost authority on anything; however, I am fairly well-versed in one thing. all the chocolate. “oodles,” i believe, is the technical term. Specifically magnificence in relation to the chocolate chip cookie, something I’ve *ahem* researched extensively for over 35-ish years now. I’m something of an expert in the field. I’ve seen it all: the nut-flecked (of which walnut is my favorite), “stuffed” chocolate chip cookies (just…no. I’ve never fully understood Turduckenizing everything), and the often-disappointing double chocolate chip cookie (which I still contend is not a chocolate chip cookie at all, but rather a chocolate cookie with chips inside it, which should disqualify it from this conversation.) I’m a purist: just because something is a cookie and contains pieces of chocolate does not make it a chocolate chip cookie. So when i say the phrase “chocolate chip cookie,” I’m talking about the ultimate in childhood classics: that one lumpy, bumpy, tan cookie filled with mostly unfancy chocolate chips, a combination of brown and white sugars, and a hefty dose of American butter. And I have eaten regular chocolate chip cookies probably 6 million times in my life, so i know excellence when I come across it. And this is excellence. What’s more is there’s no measuring out eggs in teaspoons, no super-fancy chocolate in two sizes, none of that. The difference? It’s all in the flour. Two flours, to be exact: some magical, sorcerous combination of bread and cake flours combine to make chocolate chip cookies the way they should always be. My appreciation for different types of flour has grown significantly in the past few years, but I never considered what changing up the flour in cookies could do until now. It is truly something to behold. completely cooled cookie. possibly baked the day before this photo was taken. crazy fluffy. So let’s talk about this recipe; more specifically, what makes it rise above the crowd. Because that’s a cooled cookie you’re looking at, and it’s remarkably poofy. How does it happen? Remarkably dry dough – which you’d think would only spell trouble for a cookie you want to be soft and delicious, but not here: the immense amount of chocolate in these keeps the dough extra tender inside. In fact, I think the original recipe calls for too much chocolate: I mean, really…a pound and a fourth? that’s 20 ounces of chocolate in a normal-size cookie batch. I topped out at 14 ounces because by the looks of the dough, much more and the cookies look like they would be too clumped with rivers of chocolate to even hold together. Mixing them was rough, too (dry dough + big chips = slow-go incorporation) and i didn’t want to overmix. Feel free to add more, but I would stay in the 14 to 16-ounce range. Did I mention the insides? – I did, but forgive me while I continue on about that. I like a soft cookie, so don’t be alarmed when I extol the virtues of a crusty top. Make no mistake, these are the softest cookies ever, because that gorgeously caramely exterior actually protects and almost “steams” the insides, if you will. So you’re getting the softest cookie out there, but instead of just that outer ring of crunch and the inner circle of chewy, you’re getting both in each and every bite. It’s every bit as good as it sounds. I’m going to warn you: you’ll make yourself ill on these cookies. By now, I’m used to having a wide variety of baked goods, lunches, breakfasts, and whatever else in my kitchen, all at once. No big deal. When I made these, i thought: it’s just a cookie, right? I’m cool. So as it happens, we had a little family get-together the evening i made these: basically a kids/adults pizza party, 6 adults, 2 kids. So i took these over because even I don’t need 24 giant chocolate cookies in my house. Everyone saw them and said “oh. chocolate chip cookies. nice.” and then later, dug into them. I had already had one, so I knew what was going to happen: I watched as everyone unsuspectingly took a bite of cookie, stopped dead in their tracks, and wondered: What was I in the middle of saying? Who was I even talking to? WHAT IS THIS AMAZING CHOCOLATE-BEDAZZLED COOKIE SPHERE I AM EATING AND WHERE CAN I FIND MORE!?!?! WHERE AM I?!?!? So. If you want that reaction from your chocolate chip cookies, may I humbly suggest you make these. No pressure though. Obviously, I’ve been on a little bit of an obsessive chocolate chip cookie-testing binge-a-thon. I think to bring my testing full-circle, I’m going to experiment with cake and bread flours in my own chocolate chip cookies and gauge the results. I’ll report back soon. Barely adapted from the New York times recipe for these cookies, which are wonderful, and I can’t keep in the house safely. They are as much a danger to me as I am to them. whisk cake flour, bread flour, baking soda, baking powder and salt into a bowl. Set aside. In a mixer fitted with paddle attachment, cream butter, granulated sugar, and brown sugar together until very light, 5-7 minutes. Scrape down the sides of the bowl. Add eggs, one at a time, mixing well after each addition, adding the vanilla in with the final egg. Scrape down the sides of the bowl again, reduce speed to low and add dry ingredients in two parts, stirring each addition on low until just combined, 30-40 seconds total. Remove the bowl from the stand mixer and scrape down the sides of the bowl again, taking your spatula all the way to the bottom to incorporate any dry patches (this is a dry dough, so a few dry patches are inevitable.) add chocolate chips and fold them gently into the dough, working slowly and being careful not to break them up too much. I’m not going to lie, this part will take a few minutes, but you really want to make sure you get the chips evenly distributed at this point. Cover the bowl in plastic wrap (or remove to a covered storage container) and refrigerate for 24 to 36 hours. Serious: it will be worth it. Using a sturdy 2-ounce ice cream scoop,* scoop out the dough and press it firmly into the scoop, then eject it onto the baking sheet, 6 per sheet, 3 inches apart. Place the remaining dough back in the refrigerator until ready to bake. Sprinkle lightly with sea salt (totally optional, but I enjoy it) and bake for 16-18 minutes until puffed and a light, burnished golden brown; when you take them out, their cracks should reveal dough which looks soft and pliable. Remove from oven and allow to cool for 10 minutes or so on the sheet pan. Transfer cookies to wire rack to cool completely (lying: just let them cool enough to not burn yourself on them). Repeat with remaining dough. *it is not the end of the world if you don’t have a 2-ounce ice cream scoop. Just use a regular ice cream scoop, as it’s bound to be pretty close in size to mine, and shape the dough into round balls. I would encourage you to – at some point – invest in a good ice cream scoop, however. Just saying. I know where you can send those cookies, you know, to save them from yourself…. you know, they stay good for long enough to actually get them to you in the mail, so consider yourself warned. MOTHER OF PEARL. First: kittens, pancakes and doughnuts on Cute Overload. And then, when I don’t think this day can get any better: earth, but with caramel-toffee flavoured dough. take a breath. wait…did you get kittens? did kittens happen ALONGSIDE PANCAKES AND DONUTS?!? omg…now i have to rest. 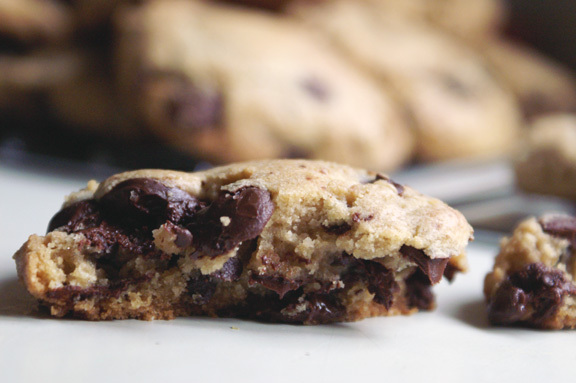 I…made these chocolate chip cookies last month and could not believe what I was eating. My grandma makes THE. most amazing chocolate chip cookie in all the multiverses (Yeah, I’ve been watching Cosmos…), and those cookies were the most similar to hers that I’ve ever made. I’ve been comparing that recipe with this one, and I’m intrigued to try it out to taste how the differences matter. And of course, I have to make the New York Times cookie at some point, otherwise I’m probably a totally non-legit baker. …and now i have a new chocolate chip cookie to torture myself with. 😉 i’m putting these on my list of potential cookies to make just to compare/contrast the differences: it’s fun seeing what everyone things of as the “best” with these, although i still say, like with your grandma’s cookies, it’s a combo of taste, texture and nostalgia, which seems completely appropriate. 🙂 and if that’s the criteria for being a legit baker, we’re ALL in trouble, because it seems like all of us have been wanting to make these for awhile, but never have. better late than never, and they are crrraaaaazy. We really do need to try these someday. We’ve tried a bunch of different versions and really like the traditional Toll House recipe a lot. I assumed we’d tried this one too, but I just asked Mrs KR (the cookie baker in our household) and was told never the full version, just a variation. Which was good, but not amazing. So we really need to do a taste test! Fun post — thanks. I can’t encourage you to try these enough, especially if you’re a fan of chocolate chip cookies. I also like the traditional toll house recipe quite a bit, and i feel like this is very much an elevated version of that: nothing crazy, just INCREDIBLE. if you make them, i’d love to hear what you think; i enjoyed how – unlike the Bouchon recipe – there was no crazy measuring, etc. a few switched-up ingredients, but still very easy. I’ve had these cookies on my to-try list for YEARS, and for some reason I just still haven’t gotten around to making them. I think next time I make chocolate chip cookies I’ll finally try them, because these look awesome. ooooh you have to make them! i’m really happy i did these now because at first i thought “surely people have tried these and i’m just late to the party” but no! this is wonderful news! I know you like cookies, Faygie: these are SERIOUS. make them. The girls will FREAK. OUT. I mean the adults will too, but especially kids. Life-changing, these things. Dare I mention that my husband’s favorite dessert is Chocolate Chip Cookies? 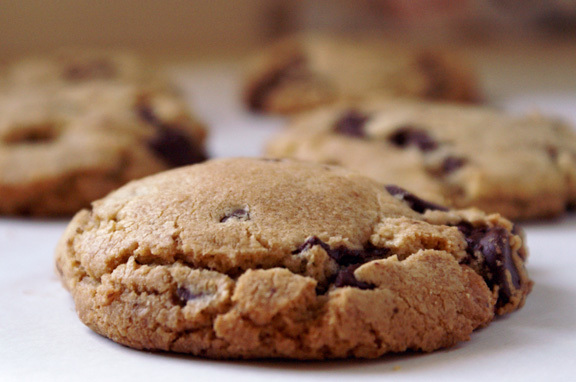 Forget the birthday cake, make Chocolate Chip Cookies! We’ve been using the William Sonoma recipe for years but I will certainly be making these scrumptious cookies soon! well, then, you need to make him these. STAT. his birthday will never be the same. and certainly not to knock the WS recipe, because it is delicious, but these are, i swear, otherworldly. These are totally good! I have made these, too! And I have to concur. Only I wouldn’t have given them all away! You are on a cookie roll and I like it! But abbe: i had to. like it was that or the hospital for chocolate chip cookie overdose. it was like i couldn’t tear myself away…even the freezer lost it’s magical powers for these. 🙂 aren’t they so good? ugh…now i want to make them. 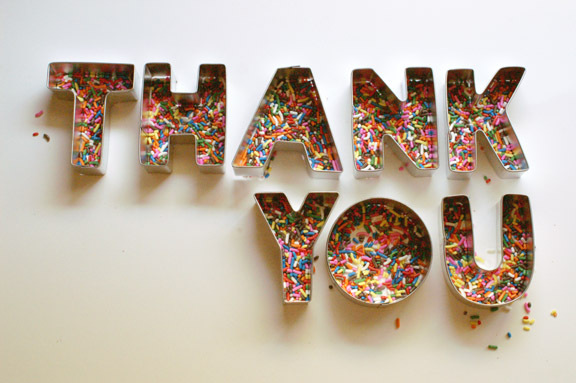 it may be cookies for awhile over here, so i’m happy you’re enjoying it. Your dry dough, as well as the chilling time are helping the cookies to be tall and have that wonderful softness inside. The fridge time chills the softened butter and firms up the dough. I hear you on the chocolate. I have matured from the days when I wanted to have a few cookies with no chips. Or later, when I celebrated if I happened to get a cookie with no chips. I like my cookies with plenty of chocolate. But there is a limit. I like to taste the actual cookie part, between the chips. The flour combination is interesting too. All-purpose has a medium gluten level. Cake flour is low gluten and bread flour is high gluten. I can see how the higher gluten bread flour would make the dough stronger, and better able to stand up to all the chocolate. And the cake flour would provide tenderness and sort of fill in the blanks from the bread flour. I wonder what would happen if you did the same exact recipe, but used only all-purpose flour? Of course, I haven’t had the originals, so I would have to make them twice. Once as written and once with all-purpose flour. And then do side-by-side taste tests. You have effectively ruined my healthy eating plans. I had one day under my belt. ONE DAY! 🙂 I’ll wait and bake my taste tests on Saturday, which is my one day a week to eat whatever I want. Looks like it’ll be chocolate chip cookies this week. 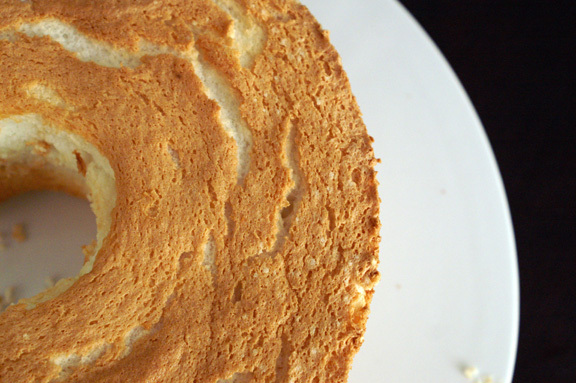 it is interesting to note the way lauded bakers do their thing. i know, for instance, you have to “rest” all the momofuku cookies, but it’s not really an “aging” process as much as it’s a stability thing to keep the cookies in circles. and you don’t see in say, my wonderful williams sonoma books any sort of aging, truly, but you have to wonder if it’s that they assume people don’t want to make everything a two day process? i don’t know…i personally like the spaced out prep time; nothing more relaxing than being all “oh, cookies!” and just pulling them out and baking them. listen, if you test them, i don’t want to jepordize your fitness. 🙂 shove them at your husband’s work. FAST though. I love the science of baking. And I love that you appreciate my nerdy comments! Now that I read that article, which I would recommend for everyone, by the way, I am ready to do a bunch of chocolate chip cookie experiments. I never thought about getting the eggs to fully hydrate, I was mostly thinking about the butter hardening. So interesting! Just so you know, you aren’t jeopardizing any fitness or eating plans. 🙂 I have a plan to make it all work. Well, my first plan was to bake them and send them to work with my husband, but I thought the boys (my husband and teenage son) were going to cry. We are going to bake some of the experiments after the requisite rest. The rest we are going to portion out into cookie-sized balls and freeze. And then we’ll have to do more tests with cookies baked from the freezer. Hmmm, there seems to be a flaw in my plan. Curses! Seriously, I am making my test batches on Friday to bake on Saturday. I’ll let you know what our results are. Okay, I am so late with my results. I did make my two batches of cookies, one as written and one with all-purpose. I have to say they were remarkably similar. I might even have liked the all-purpose flour cookies better. 🙂 They were good cookies, but I am a Tollhouse girl all the way, I think. Sacrilege, I know! I have to admit I missed a big thing when I was reading through the recipe – baking powder. I was so addled by the combination of flours that I missed that on the first read-through. Most cookies, most, but not all, rely exclusively on baking soda for the leavening. Cakey cookies sometimes have baking powder, or a combo of baking soda and cream of tartar, which IS basically baking powder. Now, of course, I have to make my much tested chocolate chips and my version with baking powder and try THOSE side by side. Nerd baking rules! you’re exceedingly nerdy. i love it. 🙂 but you knew that already. Two things: do you think mini chocolate chips would be okay with these? I like to use mini chips, as I like the proportion of dough to chip better with those. Second, I love the phrase “Turduckenizing” everything! Can’t wait to make these, possibly this weekend! Hi Tammy! you know, after making a few of the momofuku ones with the mini chocolate chips (b/c those are their favorite, it seems, also) i say go for it! they’re your cookies anyway, and if you want to get even closer to the luscious taste i had, i did see that gharardelli makes a mini chip, and i’d totally recommend seeking those out for this project. Based on my experience using mini versus regular, you may want to up the chips to 16 oz and then go from there, adding more as needed, just to get them appropriately chocolatey. i was hoping someone would get “turduckenizing” in there; i couldn’t think of a better word, but i feel like that encapsulates stuffing things inside of things inside of things pretty well. 😉 let me know how the cookies turn out when you make them! also, a note on timing, and i’m sure you know this: sometimes changing the chip size alters the baking time, albeit slightly. check these at maybe the 13-14 minute mark just to see how they’re going. But in all seriousness, they look SO GOOD. evidently i’ve lit quite the fire in people with the cookies, hormonal impulses or not; i’m happy i’m not the only one who gets tremendously thrilled when faced with one of these. 🙂 two solutions: one, make/eat them now, so you have time to still feel good in a bikini, OR make/eat them right before you leave, because calories really don’t plant themselves on your body until a few weeks later. The way you describe these makes them sound like (if I dare to say it) THE BEST chocolate chip cookies ever! I’m all about the contrast of a crunchy exterior and soft interior. I gotta say, though, I made these exact cookies a while back (sometime last year) and they were not so glorious. They looked great, but once they had finished cooling they quickly hardened. Super tasty, but none of that textural goodness I had hoped for. I followed the recipe exactly, but perhaps I missed something or my oven was off. Either way, I’m going to have to try these again, because you’ve convinced me I did something wrong. 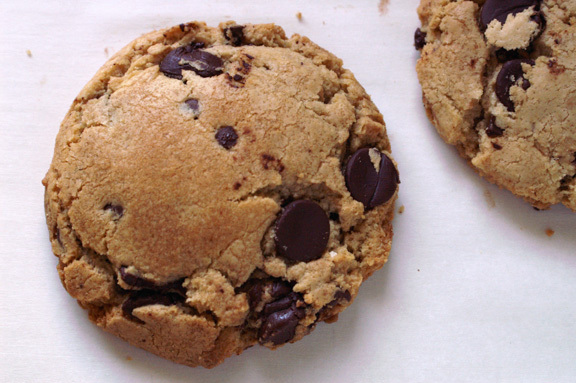 Must… have… cookie… perfection! Also, I TOTALLY AGREE WITH YOU. Double chocolate chip cookies are NOT chocolate chip cookies. They are chocolate cookies with chocolate chips added. It’s so rare to find a good all-chocolate cookie, too, so more often than not, the overall chocolate-ness ends up detracting from the chocolate-chip-ness. Those little morsels of meltiness need a clean backdrop to stand out from! Can you tell how passionate I am on this subject? I need to calm down. Maybe I’ll go cream some butter to get my feelings out. And to make some cookies. i actually agree sometimes about how chocolate chips have the potential to muddy the waters of a normal chocolate cookie. i think some chocolate cookies are definitely meant NOT to have chocolate chips. it’s like pairing black pants with a black shirt: they need to be the SAME tone of black or it clashes. 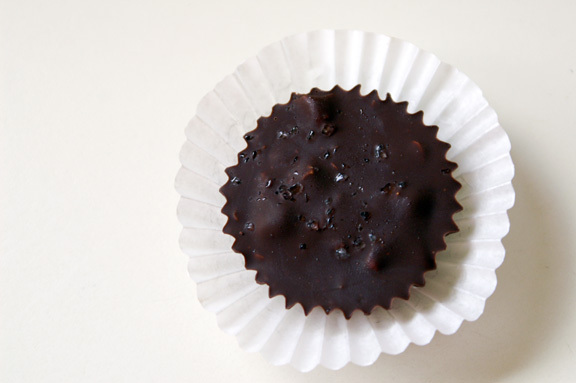 the same could be said for pairing a chocolate cookie (which could be a certain level of chocolate depth and flavor) with chocolate chunks/chips (which are probably another). I think i like the momofuku ones i mentioned so much because although i haven’t explored why it is, the chocolate flavor/tone of the cookie perfectly matches the flavor/tone of a standard chocolate chip. also, and i think this probably is beneficial, i use mini chocolate chips for that, which i think results in more of a “combined” chocolate experience than using standard size chips. ha! okay, so maybe it would just dangerous (but in a good way) if we lived in the same city. I feel like we’d have an entire wall with like, notes, and pins, and string going from one note to the other a la detective drama crime boards. 🙂 THAT i can totally see. omg you said the B-word lol! noooooo. although if we’re talking about technical perfection/best, these are, in my experience, the best. But…now you make me think, because if you made these too, and you did the recipe exactly as i did, i wonder why you felt like yours was more crispy throughout than crispy/soft together. to get more specific, i cooked these on the middle-lower rack of my oven (which i should disclose is incredibly even in terms of there being zero hot-spots to speak of), one pan at a time (NEVER more than one pan at a time, ever), 6 to a pan. also, i cooked them for less time than the recipe indicates: i think the original calls for 18-20 minutes, where i’d say start checking them at the 14-15 minute mark. I could see how even a minute over would be cause for a crispier cookie? when i take mine out, the cracks sort of give way to that bubbly, really soft, almost underdone look, which is when i took mine out and let them cool. so if you ever try them again (and i say go for it), maybe that will help in terms of comparison. Girl, have I missed you! This is going to sound creepy, but I’m just going to come out with it. I have been stalking your page every day. Yup, every day! I’m officially a Shannon stalker. I hope we can still be friends. These cookies. No words. Just, none. Now that I know all about the need for 500 different types of flours, I’m okay with it. I’ve even made room in my cabinets. I could use a vacation, so pass me a cookie. listen: jennie, i love stalkers. i especially love it when YOU stalk me, as you tend to do when i go MIA for awhile. i LOVE IT. we can totally still be friends: i can’t quit you. seriously i’m going to start keeping bread and cake flour in the house on the regular because, obviously necessary for cookies. No report on how the uncooked dough compared to other types of chocolate chip cookies? I’ll take care of testing that, no worry. Because I’m seriously making these asap. I’ve heard the NYT recipe was out-of-this-world good, but had never made them (probably because I haven’t made a standard cc cookie in forEVER, oops). I’ll definitely disperse of them, though, because I cannot be trusted with anything sweet and tasty in my immediate vicinity. Also, turduckeninzing is an awesome term and should be put into the dictionary. And I agree, double cc cookies are NOT a type of cc cookie, they are their own distinct class of chocolate cookies with chips. did you like that? it’s a decent term, and certainly useful in describing the phenomena of stuffing things into things (into things). I’ll say i think it *can* be done successfully, and certainly there’s a market out there for them, but i’m not that market. too much a purist about certain things. I’m going to cry at how perfect that analogy is. cookie cathedrals: worshiping at the alter of cookie. TOTALLY. I should note to you that i *thought* when i first found this that it was the City Bakery cookie, and i’m sad that it isn’t; turns out the article i found these in had a comment in them from the owner of City Bakery and i was obviously not paying attention b/c of sheer joy. 🙂 BUT! this is an incredible cookie: make them for nate (and yourself, obviously) because they truly are amazing. He’ll love them. it’ll be a nice pre-move treat. I’m making these right now because they are THE BEST. I added pecans, and used all regular flour, and while MOST of the dough is in the fridge chilling overnight, I can’t help but bake off a few right now, after sticking some dough in the freezer for 10 minutes. We’ll see how it turns out. It occurs to me that I never told you (did I?) that I made these to serve at the dessert table at my wedding! I have fond memories of printing the recipe off from your website and making them in the kitchen I grew up in the day before the wedding. I had tested ALL the recipes I was making for the dessert table many times, but then I got pregnant and queasy and wasn’t feeling like baking very much leading up to the big day, and I was still short some recipes. So I came here, because I knew that you only post recipes that WORK. And sure enough, these were AMAZING. My mom and I had a hard time not eating several of these huge babies after we got home from the rehearsal dinner. i can’t EVEN BELIEVE you never told me these cookies made a wedding appearance!!! I forgive you, and that’s awesome: i feel so honored, and i’m thrilled you’re making them again. It’s like i was a part of your wedding (and now perhaps your pre-birth snacking) – THIS IS WONDERFUL. xoxo to you! and hey: i know that baby is just about here (or who knows: as i type this it could be happening, you can never tell with babies) so i’m sending all of my love in your general direction. Let me know how things go.